Weddings can be expensive, with lots of hidden costs you don’t realise you’ll have to fork out for. Along with the ceremony itself, there are often other expenses to consider, and one of those is the all-important stag do. If you need to organise a stag party on a budget, here are some top tips – whether you’re organising it for yourself or your best bud. What are you looking for in a stag do? Often people want to head out to some glamorous location like Las Vegas, Miami or some other party destination halfway across the world. You’ll have to ask yourself what it is you’re looking for from your stag do and can you justify such a huge expense. Yeah, it would be great to drink a bottle of champagne from a diamond-encrusted chalice at the top of the Great Pyramid of Giza, but is it really essential? All you’ll need to have a great stag do is a bunch of mates and relatives, and a few activities to make sure you all have a great time. A stag party on a budget doesn’t need to be bo-ring, trust us! Bear in mind it is not just the groom that has to consider their budget; all of the stags will want to go, and often they come from all walks of life. You’ll have to accommodate for everybody if you want them all there and to make the stag do as cheap as possible is one way to go about it. This gives everyone ample time to come to an agreement and allows plenty of time to book their holiday from work. Once you’ve set the dates, look into booking accommodation and travel (if required) as the earlier you book these things the cheaper they tend to be. Don’t forget to check with your accommodation that they accept stag parties; otherwise, you might have to find a new place to stay last minute, which will be expensive. Sure we’d all love to travel in style but you also don’t want party costs to spiral out of control. Do you really need to spend extra money on a two-hour flight when all you want to do is get the beers in and have a laugh on the plane as you’re all buzzing with anticipation? Go budget airline for a budget stag do, don’t even consider anything else. If you’ve gone abroad in a large group then stay in a hostel. They are considerably cheaper than hotels and provide you with a base to meet and recharge your batteries before you head out for the next round. Many hostels will offer large dormitories which can accommodate most travelling parties. This is a super simple way of organising your stag party on a budget and you’re not going to be spending much time at the hostel anyway – it’s just somewhere to sleep, shower and start all over again. We’ve all seen those stag or hen parties, that walk around your hometown and leave you wondering why they aren’t off in some city, or abroad. The most likely reason is that it is much cheaper. If you don’t mind where you head to then consider having your stag do locally. It’ll save everyone travel costs, and you’ll be able to sleep in your own bed (unless your fiancé is there!). It is probably not the most adventurous option, so it’s really only viable for someone who doesn’t care where their stag takes place. If you’re planning a budget stag party, then keep an eye out for deals from discount websites like Groupon. They offer discounts on a variety of adventure activities such as climbing or go-karting, often offering over 50% off the original price. Plan ahead and enable email notifications from these websites to keep informed of the latest offers. There are also plenty of apps that offer budget travel deals, if you want your stag do abroad. 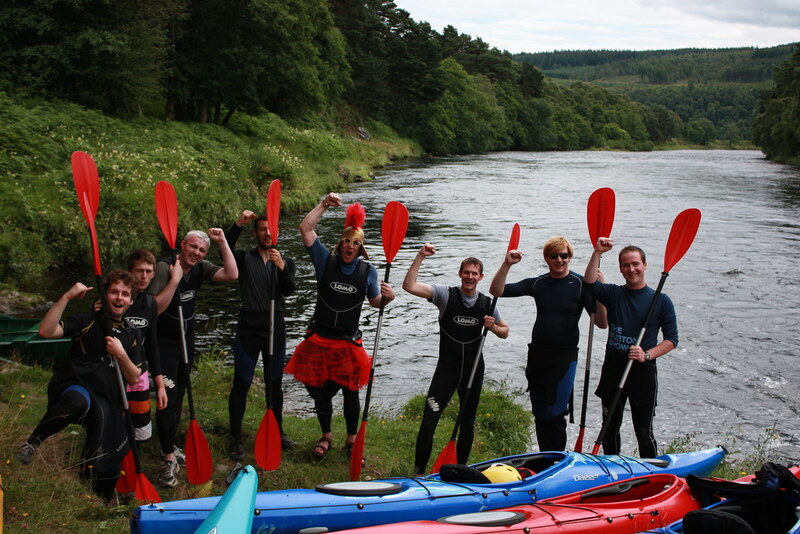 Planning a stag do doesn’t need to be an expensive or stressful part of the wedding. Use these top tips for organising a stag party on a budget, grab all of your mates, and have an amazing last hurrah before the big day! Hi, I’m Connor and I write stuff. One of the things I like best about weddings is all the free food and drink you get. Sure it’s nice to see your friends and family for a special occasion, but food is my best friend.